Good Job Tom! Here's Tom getting his Bobcat award. It's the joining badge for Cub Scouts. 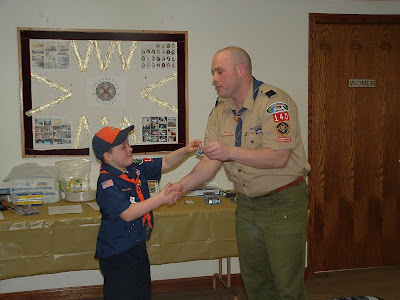 All new Cub Scouts do a few easy things to earn this badge, before starting on their other badges. Tom is now working on his Tiger badge.